Buying a speaker wire can be quite challenging. While everyone agrees that quality of the cable has a major influence on sound quality, there is much debate about whether high-end cables are really so superior to be worth the cost. Proponents of high-end speaker wires claim that these provide an incomparably better sound quality due to their innovative design and the use of high-end, and sometimes exotic materials. In addition to claiming that speaker wires from the upper price range are better because being made from better materials, they also use various electrical properties as an argument. Examples include characteristic impedance, skin effect and resonance, to mention only a few. We won’t get into what is what and how it impacts sound quality because it won’t make things much clearer. In fact, most consumers including those who know more about these things don’t really understand the importance of the mentioned electrical properties. With the exception of a few such as resistance, most of the arguments based on electrical properties have been rejected by most experts. In addition to rejecting most electrical properties as an argument, the opponents of high-end speaker wires also claim that the use of exotic materials and advanced design don’t have much influence on sound quality considering that the distance is only a few feet. They may be right about the commonly cited electrical properties but they are not exactly right about materials and design. If you want quality sound, you need a quality wire and features that minimise interference. Also, thickness or gauge will have a major influence on sound as well because thicker wires have lower resistance. But there is no need to buy the thickest wire available. How thick the wire should be depends on distance. Obviously, as the distance increases the thickness should increase as well. Keep in mind, however, that the lower the gauge the greater the thickness. 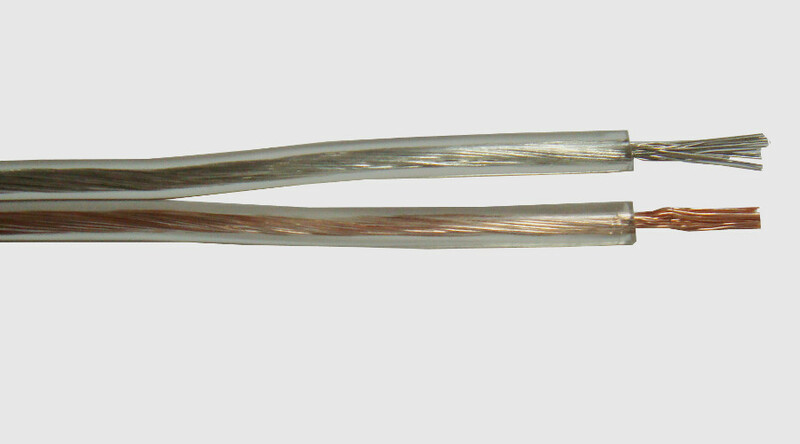 Therefore a wire with gauge of 10 or 12 that is most commonly used for home systems will be considerable thicker than a cable with gauge of 14 or 16. As you can see, not every speaker wire is the same although this doesn’t necessarily mean that those from the upper price range are superior. If you’re not sure which speaker wire to choose, we recommend you to compare sound quality of an inexpensive and high-end wire and get advise from a reputable company. If you can’t hear any difference, choose the less expensive option.